What is Aspect Ratio: The term Aspect Ratio refers to the relationship between the width and height of a video, irrelevant to the actual physical size of the picture, however. Aspect ratio is expressed in the form of "width:height", for example, 4:3 and 16:9 which are the main video aspect ratio, a.k.a 1.3:1 and 1.78:1. The most common video aspect ratios are 4:3 (1.3:1) and 16:9 (1.78:1). The former is the standard TV format, while the latter is the latest widescreen TV format. Besides these two, 1:1 are also popular for social media. Shooting photos and video with phones is becoming so much popular, however if you shot vertically, you will get a 9:16 aspect ratio media. As far as you may know, many media players enable you to change the aspect ratio in real time. Yet the change is temporary. Next time you open it, you need to make changes again. In this article, we will let you know how to change aspect ratio to 4:3, 16:9, 1:1 and 9:16. To change the aspect ratio permanently, you need a video editor or converter. Here I humbly recommend Wondershare Filmora9 (the latest version 9 of Filmora video editor, Windows 10 supported), which lets you create both 4:3, 16:9, 9:16 and 1:1 aspect ratio videos for sharing on TV, computer, web, YouTube and social media. This article will show you how to change aspect ratio step by step. Check it out. 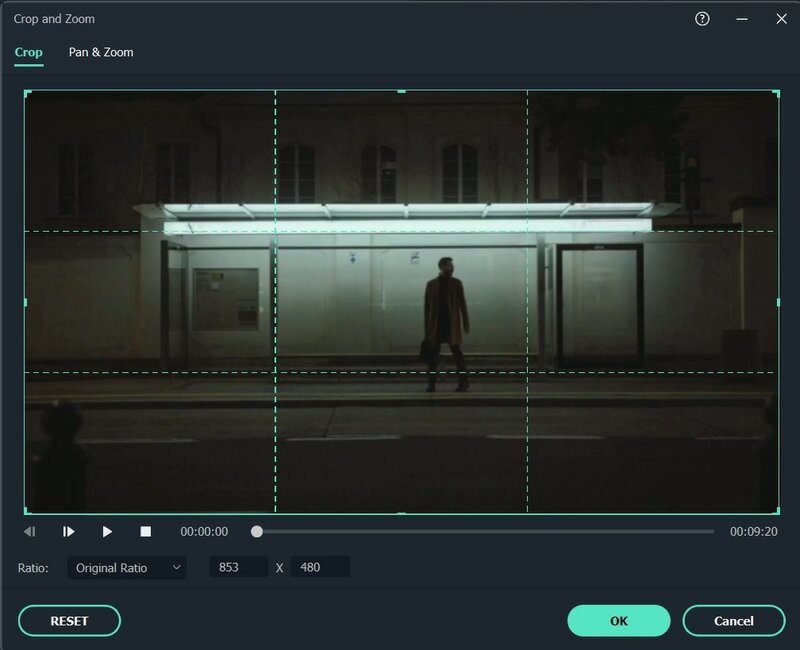 If you like, you could choose a target aspect ratio at the beginning after entering the main editing interface by clicking the Project Settings. It depends on the aspect ratio of your media source. If most of your media source files are in 4:3 aspect ratio, you should select 4:3 standard aspect ratio. For you've select an aspect ratio, then the media files that are in 16:9 or other aspect ratio will be converted with black bar, and be stretched if necessary. This is the solution when aspect ratio discordance occurs. But if you just want to change aspect ratio of one video file, simply choose an aspect ratio and go. If you want to change aspect ration later, just select Project Settings to change it again. Now import your video to change aspect ratio to the program by clicking the Import button or simply by dragging and dropping video files from File Explorer to the program's primary windows. Optionally, you can edit and enhance your video with plenty of visual effects, titles and all common video editing tools. 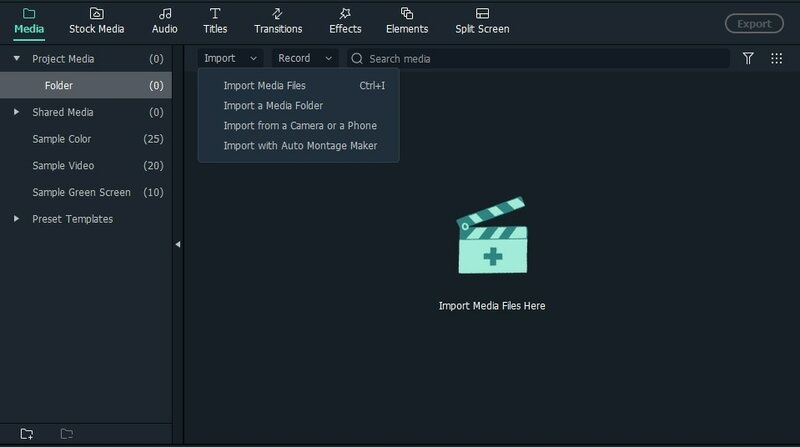 There are two methods to change aspect ratio in Filmora9. Method 1: Right click on cilp to select crop and zoom. Then a pop-up window will appear. By clicking manually, 16:9, 4:3, 1:1 and 9:16 at the bottom, you can change aspect ratio with these presets or click Custom to enter the aspect ratio manually. After selecting, click OK. Then you will find aspect ratio will change. Method 2: Depending on your needs, you can either save your videos to computer for media player or mobile device, directly upload to YouTube, or burn to DVD for watching on standard or wide screen TV. To do so, click "Export" button when you are happy with your video. The default tab is "Device". You can save your video in formats that are compatible with all popular devices, including iPhone, iPod, iPad, PSP, etc. When you've chosen a device, all resolutions with optional aspect ratio will be given. Simply choose your favorite resolution from the list. The higher, the better video quality, but also larger file size. Switch to "Format" to save video in specified aspect ratio to computer. Once a format is selected, all resolutions with different aspect ratios are available. Depending on the resolution, the output video aspect ratio is different. For example, 1280x720 is a 16:9 video, but 640x480 is a 4:3 video. Or input 480x480 to customize 1:1 video. You could calculate the aspect ratio yourself. Always change aspect ratio to the same with your choice at the beginning. Otherwise, black bars may be added. Go to "YouTube" tab and type in your information before clicking the "Create" button. There is no need to select an aspect ratio for second time. Your videos will be directly uploaded to YouTube depending on your select at the beginning. It's easy to switch aspect ratio for TV between 4:3 and 16:9. When you're in the "DVD" tab, you'll see an aspect ratio option. Simply choose what you want depending on your TV's screen. Usually, you can change aspect ratio in a media player like VLC Media Player, but that's temporary change. 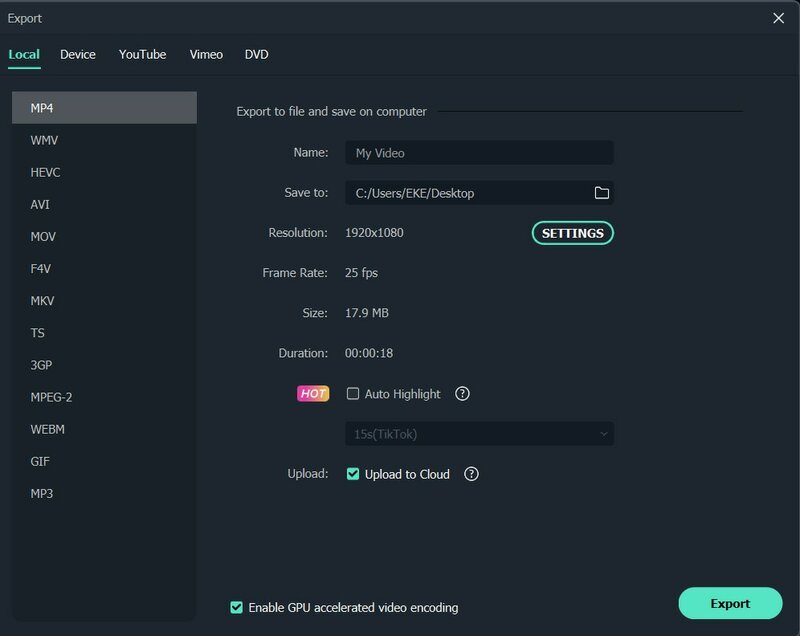 You need a video editor for changing video aspect ratio like Wondershare Filmora9 (the latest version 9 of Wondershare Filmora Video Editor). I want to creat videos for mobile phones in potrait mode. They have an aspect ratio of 9:16. I am not able to do that in this software. Can anyone help, please? It's urgent. How can i create 1:1 videos for facebook and instagram? What about a square ratio?